We aren’t talking using WeTransfer either. Although don’t get me wrong, WeTransfer is a cool program. Only if you like having a clutter of Chrome tabs open. Unless you are a productivity master using Shift! Instead of having five instances of Chrome open or a bunch of tabs, you can just use WeTransfer or Google Drive within Shift to send Gmail attachments of any size. No wonder why Shift users are miles more productive. 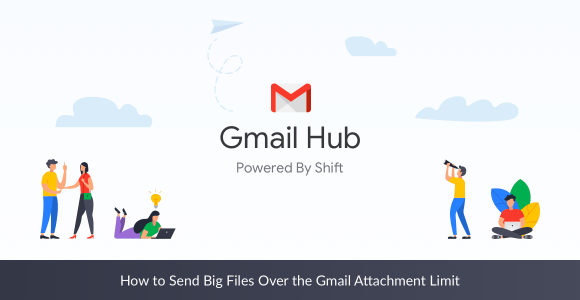 Sadly, not even Shift can force Gmail to send large files as an “attachment.” That being said, it does provide the simplest means for a workaround using Google Drive integration. You won’t have to go to third parties anymore, not when you can attach all of your files through Gmail’s Drive integration.